Do you want to know how to get to the mapo gu (station)? 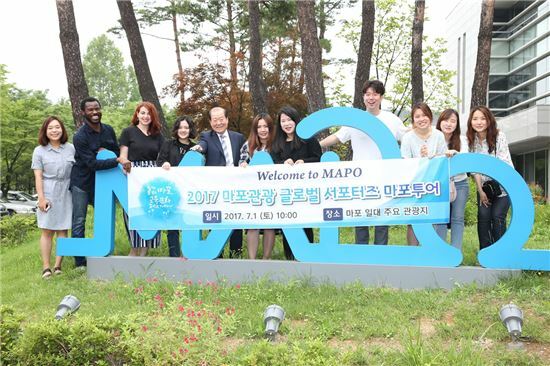 There are many ways you can get to mapo gu (station) such as public transportation (bus, subway / metro), taxi and Blacklink limo/transfer/shuttle service. Don't sweat outside waiting for other transportation with your luggage. Make a round trip reservation with Blacklink as you plan for your trip. It is easy, convenient and available 24/7. Then, the assigned Blacklink driver will greet you at the arrival and will drive you to the mapo gu (station). You can use Blacklink for not only hotel but also Gimpo Airport (GMP), Myeongdong, Jongno-gu, guesthouse, resort, airbnb, lodging and anywhere you want to go in Korea. Check out Blacklink customer review posted below. Mapo District (Mapo-gu) is a gu, or district, within Seoul, South Korea. It lies northwest of the Han River. Several universities and government buildings are located there. Mapo is well known for the Hongdae club district around Hongik University. Seoul Metropolitan Subway Line 2, Line 5 and Line 6 pass through this district. The Seoul World Cup Stadium, a famous landmark in Seoul, is located in Sangam town in northwest Mapo. Neighboring districts include Yongsan, Jung, Seodaemun and Eunpyeong Districts.